Important note: These are general guidelines as we have produced wraps with many different types of fiber over the years. It is very important to follow the washing instructions printed on the label of YOUR wrap. If you have questions always feel free to contact us directly for clarification BEFORE you wash your wrap. When your Uppymama wrap is shipped to you it has already been washed. The initial wet finishing to set the fibers has been done with a hot wash, cold rinse, and regular heat in the dryer. If Becky thinks the wraps need another fluff she will wash them a second time. When you are ready to wash your wrap you should follow the instructions on your care label as those instructions will be specific to individual fiber content. We wash all Uppymama wraps in Nature Clean unscented, liquid detergent. The ring spun cotton warp fibers of your Uppymama wrap will continue to bind and stabilize in the weave structure. 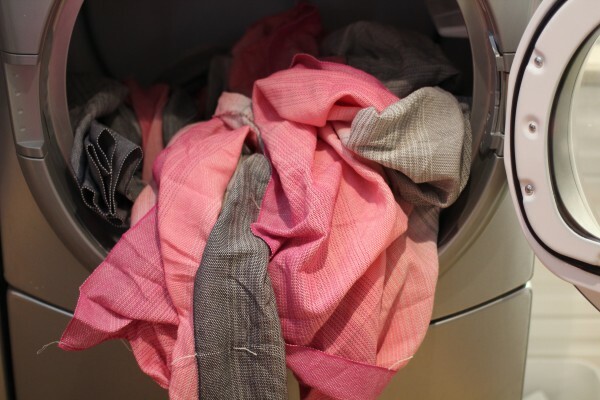 Your wrap will become softer and the fibers will feel more dense as you continue to wash and wear it. We recommend that you use your wrap, often, wash your wrap often, iron your wrap if you want to and treat it as the tool it is intended to be. 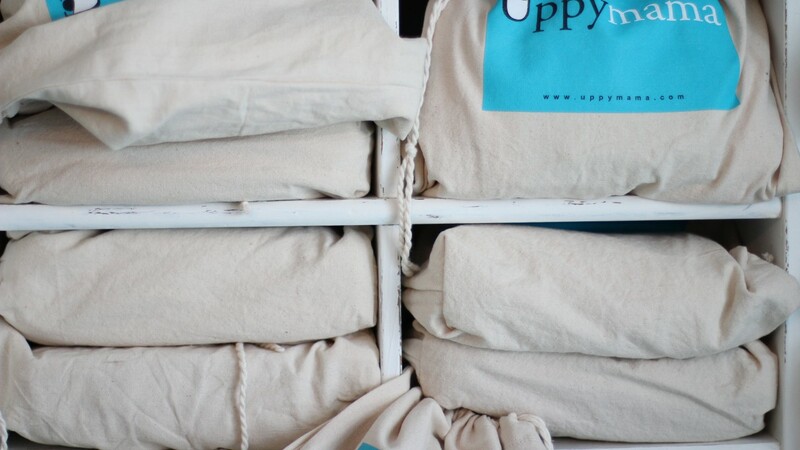 The art of an Uppymama wrap is in the colour and design but remember that our weaver created your wrap to be used and used (and maybe even clean a spit-up or wipe a snotty nose – Uppy wraps are very absorbent as well as supportive). always follow the specific washing instructions printed on the label of your own wrap.